New for March 2018! One type of balun that is often used in microwave applications is the Marchand balun. First, we will start with reviewing Nathan Marchand's 1944 paper (reference provided at bottom of page). If you don't have a copy, ask us nicely and we'll send it. Then we will develop a Marchand balun design in Microwave Office. This was first reported in December 1944 issue of Electronics (which we have a copy! ), titled "Transmission line CONVERSION TRANSFORMERs" (their caps, not ours), by author Nathan Marchand of Federal Radio and Telephone Laboratories. Marchand provided an excellent means of converting from coax to two-conductor transmission line. The article was carried in the trade journal "Electronics", which was first published in 1930. In 1965, Gordon Moore published an article with the title "Cramming more components onto integrated circuits" in Electronics, providing insight into the future of integrated circuits which became known as Moore's Law. McGraw Hill sold Electronics to Dutch company VNU in 1988, and in 1995, "Electronics" ceased publication but its DNA (and user data, breeding ground for all the spam you get at work) live on somewhere... In 2005, an offer from Intel for an original copy of Moore's article caused quite a stir. 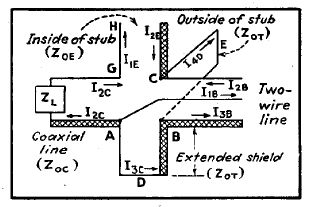 Below is Marchand's equivalent circuit model. 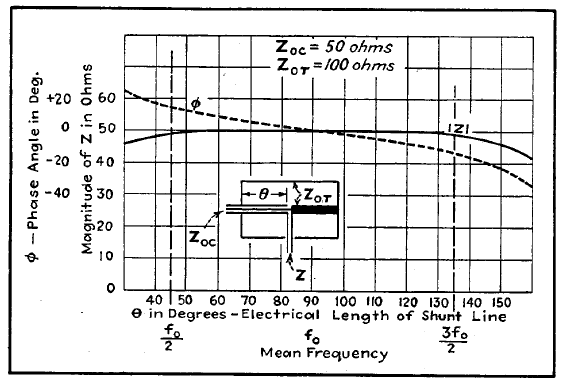 The variation in characteristic impedance was calculated to be just a few ohms across 3:1 bandwidth. Phase variation is around +/- 15 degrees across the same frequency range. 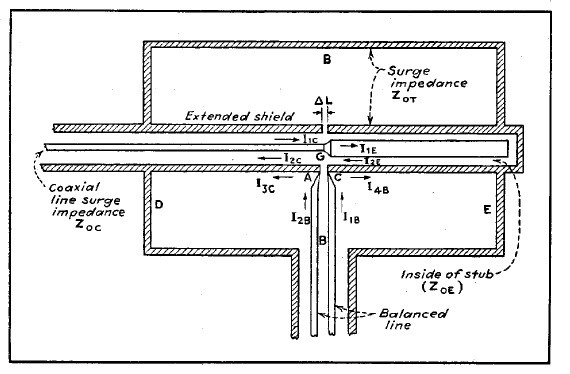 Nathan Marchand, "Transmission Line CONVERSION TRANSFORMERS", Electronics, Vol 17, December 1944, pp. 142-145.